Award-winning history, poetry, creative nonfiction, fiction, and journalism by a modern man of 21st century letters. More than a book of popular quotes with an abundance of exciting new material, this volume is a powerful literary reference tool for understanding the origins of the most frequently-cited poems, news articles, fiction, memoir, history, and creative nonfiction on the web as well as in contemporary literature. It also provides the largest single selection of quotes by the popular author, many available only in these pages, including the entire special section titled TAO OF THE RAINBOW. In addition, the book as a whole demonstrates the ability of social media such as Twitter, Facebook, Pinterest, Tumblr, and Google+ to help make positive and inspiring differences in 21st-century life. It was through social media that the quote which prompted the composition of the book has practically grown into a movement which has helped to stimulate a stronger regard for individual self-worth, and life as a whole, in an era too often defined by mass shootings, ceaseless wars, and chronic depression. 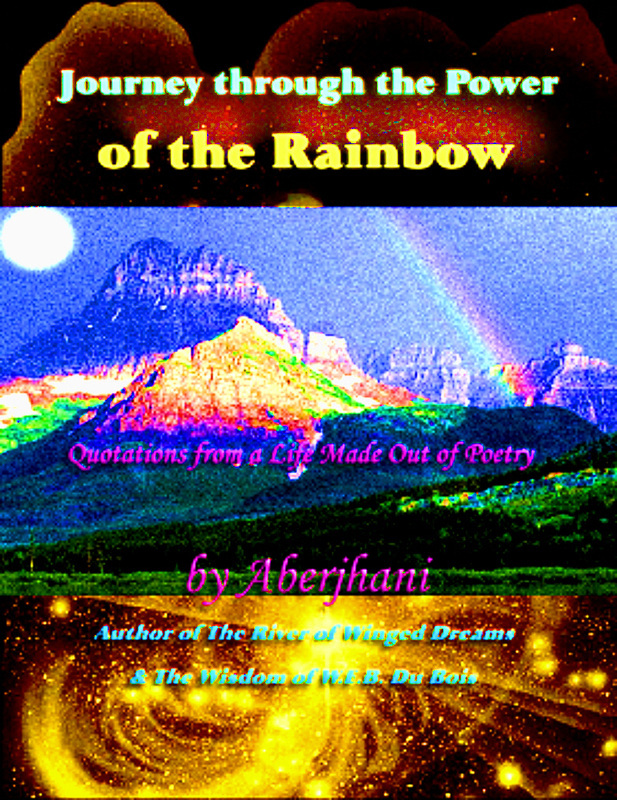 Follow Author-Poet Aberjhani's board Journey through the Power of the Rainbow on Pinterest. Prior to that, it won the Choice Academic Title Award, New Jersey Notable Book of the Year Award, and Best History Book Award. The book has been celebrated for its treatment of an era that not only gave us such outstanding authors as Zora Neale Hurston and leaders like James Weldon Johnson, but laid the foundation for the Civil Rights Movement and provided such lasting legacies as: gospel music, jazz, the blues, rap, and other staples of African-American culture. It is one of the most frequently cited works on the Harlem Renaissance. Follow Author-Poet Aberjhani's board Encyclopedia of the Harlem Renaissance on Pinterest. 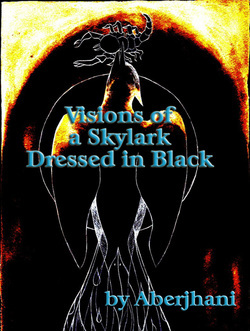 Visions of a Skylark Dressed in Black made its debut in 2006, courtesy of BPSE-Publishing in Great Britain. For the most part, that was a good thing but the drawback came in the form of limited distribution for a limited period of time. The new 2012 edition is therefore the first that will have outlets based across the Internet and the United States. Since the book’s initial release, many of the poems have become some of the most frequently quoted in contemporary literature. “In his many novels, poetry, histories, editorials, plays, and letters, W. E. B. Du Bois poured so much of his blindingly incandescent soul into his writings that no single volume could ever contain all of his words or works. 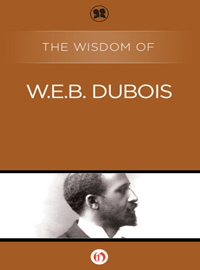 In fact, had not the historian David Levering Lewis taken it upon himself to pen his Pulitzer Prize-winning double-volume biography of Du Bois, it is quite possible (sadly) that the deeper significance and greater scope of Du Bois’ many exemplary contributions to humanity would have eluded modern readers. ELEMENTAL, The Power of Illuminated Love, a full-sized coffee table book with some 140 landscape pages, is the product of two award-winning creative artists who both have viable links to famous Jazz Age Harlem Renaissance. Artist Luther E. Vann actually studied with artists of the phenomenal period and ELEMENTAL includes statements from him as well as commentaries by others providing informed assessments of his work. 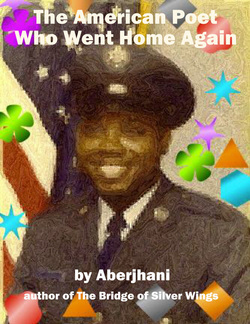 Aberjhani is co-author of Facts On File’s Encyclopedia of the Harlem Renaissance as well as editor of The Wisdom of W.E.B. Du Bois. He has provided an extended biographical essay on the artist in addition to critically acclaimed accompanying poems. The informative text aspect of this book makes it a very valuable one for library collections. Both the art and poetry in ELEMENTAL have been celebrated worldwide and has a growing audience of devoted viewers and readers. The art has been exhibited in several major museums, including the Telfair Museum of Art in Savannah, Georgia, and at Penn Center on St. Helena Island, S.C. Many of the poems were published in ESSENCE Magazine and other notable publications. The book was actually something audiences had been requesting for years before it was finally published with the assistance of Savannah, Georgia’s Telfair Museum of Art, which is the oldest public art facility in the American South. Just like modern literary life, THE AMERICAN POET WHO WENT HOME AGAIN expands beyond the safety of pages bound by predictability to explore and often confirm exciting creative possibilities. A shimmering collage of memoir, creative nonfiction, literary journalism, and dizzying flights into poetic observation, this is the amazing story of one writer’s rediscovery of his family, his hometown of Savannah, Georgia, and himself. From the celebrated “Return to Savannah” and the uncut extended version of “This Mother’s Son,” to “Journey through ‘Universes Beyond the Invisible” and “The History that Peace Made,” the author takes his readers on epic jaunt across landscapes of “the soul at work.” Whether dealing with the challenges of care giving and racism or coping with the subtleties of art and spirituality, this is one author-poet and one book that sings with the beauty of hope and the persistence of life itself. 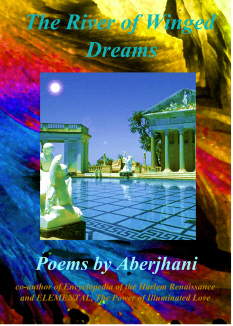 "I love this marvelous book and recommend it, with pleasure, to one and all. Mr Aberjhani's voice should be heard around the world. He is an extraordinarily gifted writer whose words are more than inspirational, intriguing, and eloquent ... they are poetry in motion." --Reginald V. Johnson, Success-Tapes, Upper Saddle River, N.J. The journey that first started with “Songs of the Angelic Gaze” and continued with “The Bridge of Silver Wings” now moves into even deeper and higher realms of creative wonder in THE RIVER OF WINGED DREAMS. Online readers noted from the beginning that something special was happening as those poems which would eventually comprise “Songs of the Angelic Gaze” popped up in Internet posts every other week, much like the unusual angels which many of the poems described have been said to appear unexpectedly in individuals’ lives. Movie-goers, television-watchers, and readers of novels –not to mention students of world spirituality-- have long been accustomed to the idea of paranormal partnerships between humans and angels and terrifying clashes with demons. What they had not seen or heard –until “Songs of the Angelic Gaze” -- were such passionate classic struggles presented in the voice of a modern poet who seemed to have occupied a front row seat to battle in both heaven and hell while transcribing all he witnessed into highly original and powerfully mesmerizing literary art. Those unfamiliar with “Songs of the Angelic Gaze” and “The Bridge of Silver Wings” will be glad to know that THE RIVER OF WINGED DREAMS contains all the works presented in the previous volume plus much more. So there is no need for them to purchase the previous title unless they wish to do so for the collectible cover art by Luther E. Vann (though even this is available with more than 60 other reproductions of Vann’s work in “ELEMENTAL, The Power of Illuminated Love”). Christmas When Music Almost Killed the World combines popular music culture, science fiction fantasy, and horror to create a uniquely engaging paranormal epic. The story takes us inside the world of Danny Blue, a young man struggling to make peace with the death of his girlfriend, a gifted artist named Valerie Hyerman whose passing sparks the creation of a controversial spiritual movement. Was her death suicide, murder, or something completely different from either? 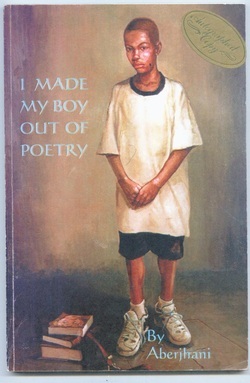 Prior to its publication, work from I Made My Boy Out of Poetry appeared in a number of both well-established and underground publications. These included: The African-American Literary Review; The Angry Fixx; The Dull Fly; The Georgia Guardian; Out of the Blue; Poets, Artists, and Madmen; The Savannah Literary Journal; and The Savannah Tribune. Later, ESSENCE Magazine featured work from the title.